In the occupied Crimea, the security forces detained the activist of the Protest Glades Fazil Ibraimov and his wife, attorney Mammet Mambetov informed on his Facebook page. The lawyer noted that the security officials were taking them to search their house in the settlement of Ak-Mechet. Earlier, on December 6 in the occupied Crimea, the house of the activist of Protest Glades Fazil Ibraimov was searched. Reference: Participants of the Protest Glades demanded a solution of the issue of land allocation to Crimean Tatars, who have defended their right to it for more than 10 years. In Simferopol, a conflict develops between local authorities, developers and participants of the Strelkovaya Protest Glades. 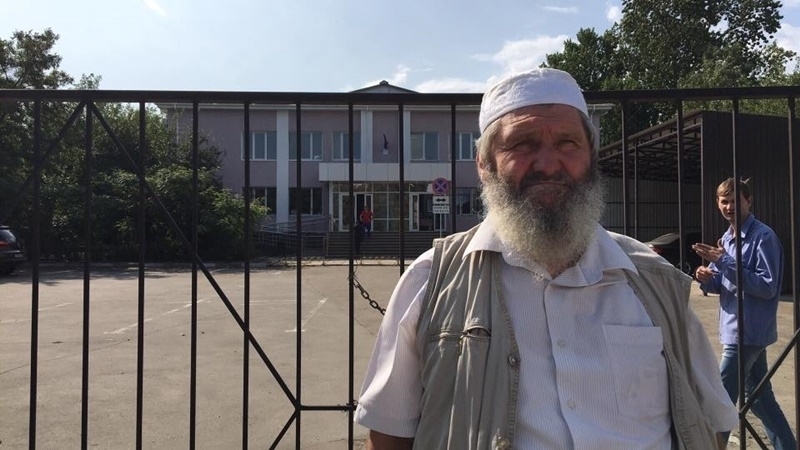 Activists state that the invaders seek to demolish a residential district of "Strelkovaya", where the squatted housing and mosque of the Crimean Tatars are now located, to build a new residential complex "Crimean Rose". Protesters are trying to save their buildings from destruction.